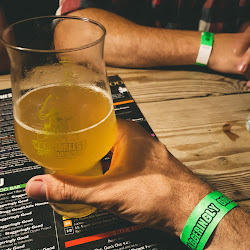 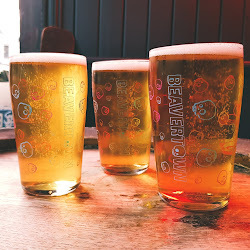 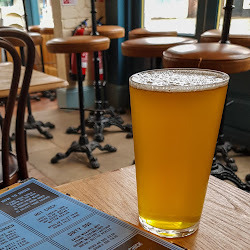 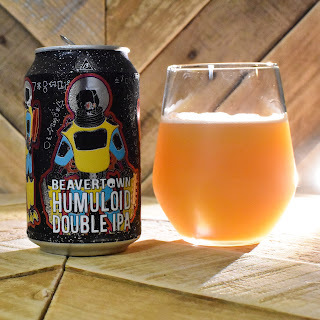 Another day, another Beavertown beer! 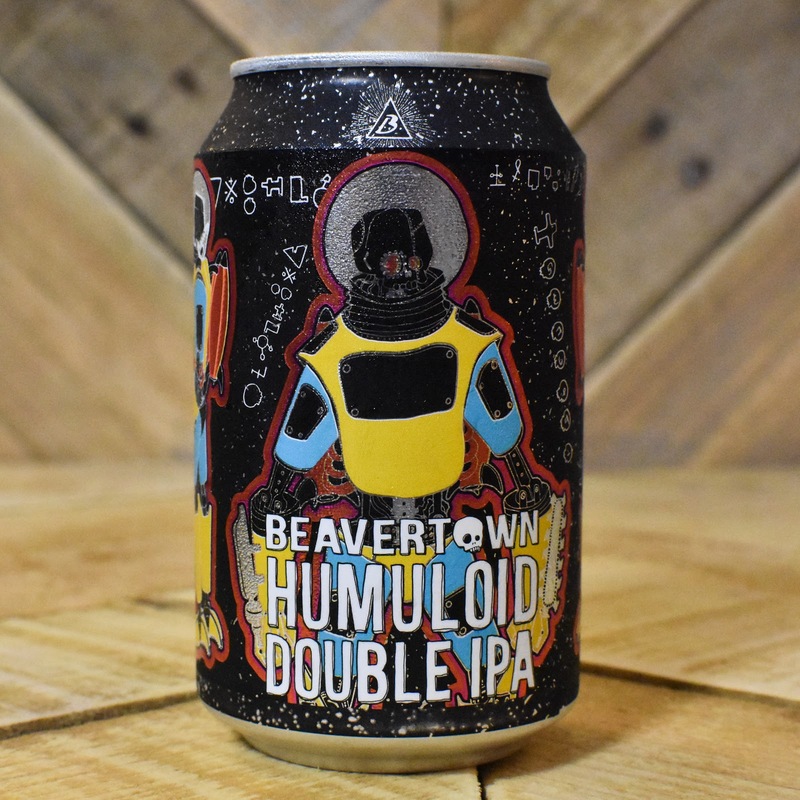 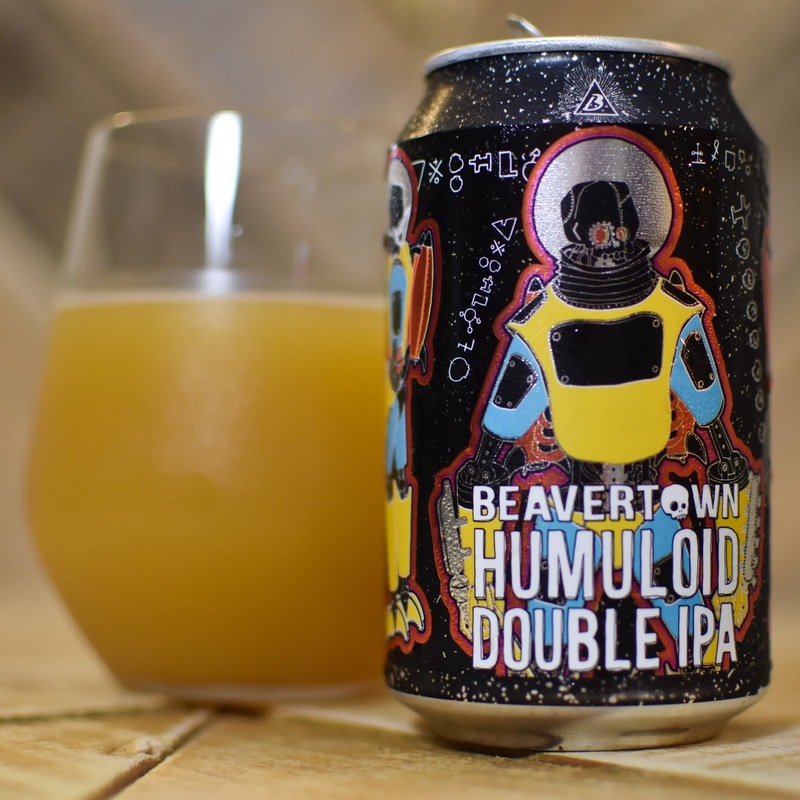 After being a little bit wowed by their collaboration with Lervig, today it's the turn of their solo DIPA, Humuloid. 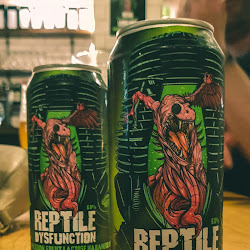 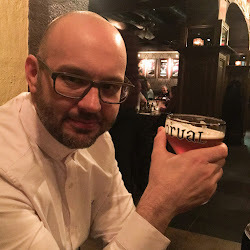 And it's another great beer! 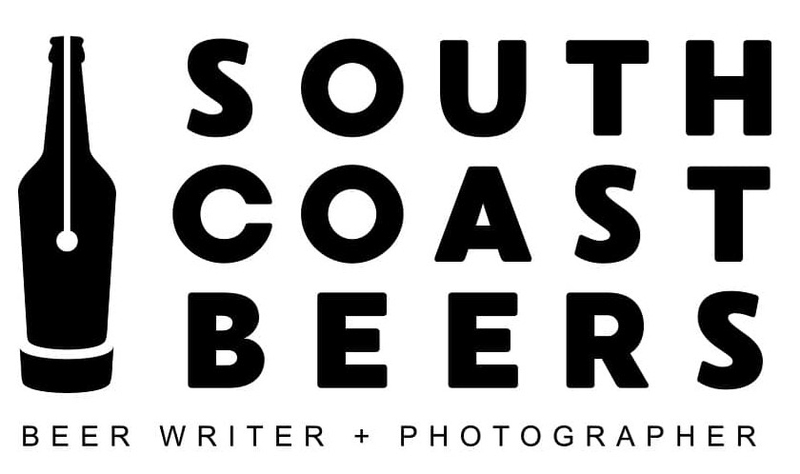 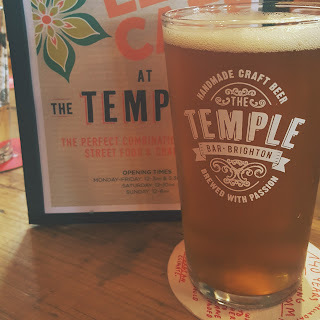 This New England Style DIPA looks the part; it pours a creamy yellow with a lovely haze. 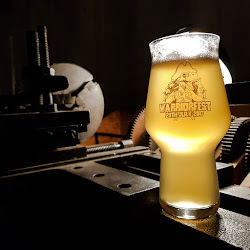 It almost looks like egg nog! 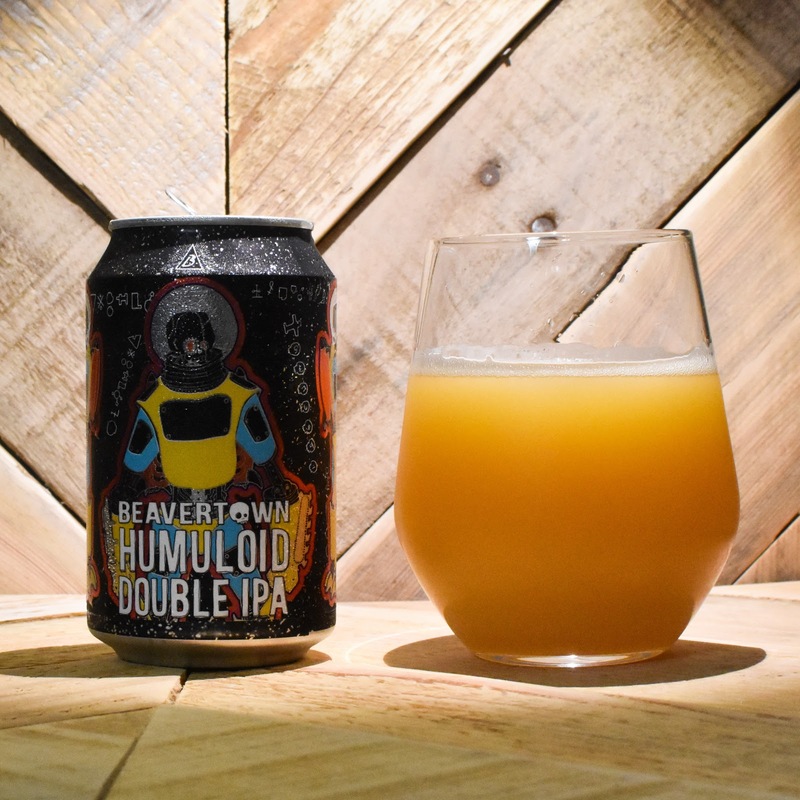 With the amount of pineapple, mango and papaya on the nose you'd think you were smelling Umbungo, but then there's just enough sticky pine and sharp green onion to bring you back to beer. 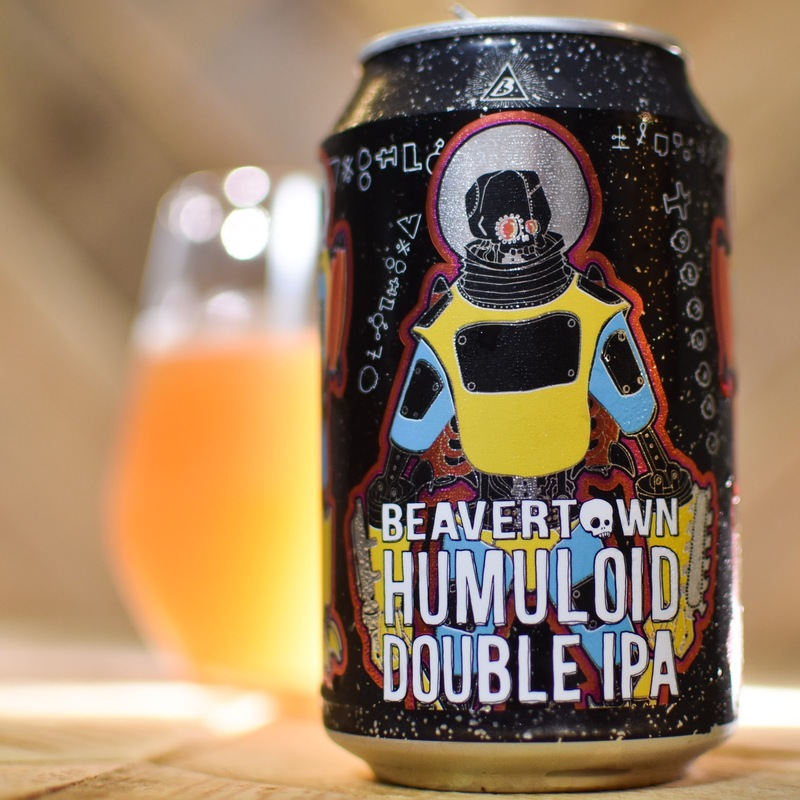 Thanks to a heavy dose of oats in the brew Humuloid has a creamy and rich mouthfeel. 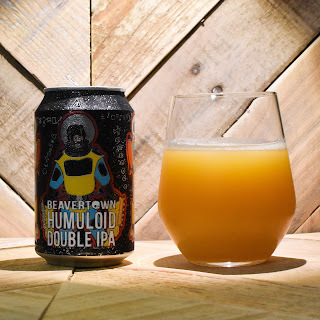 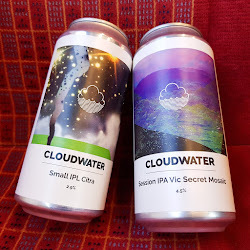 All of the tropical fruits zing and burst into the taste, along with fresh cut grass, sticky pine and that onion sharpness that helps to make these heavily hopped DIPAs so flavourful. 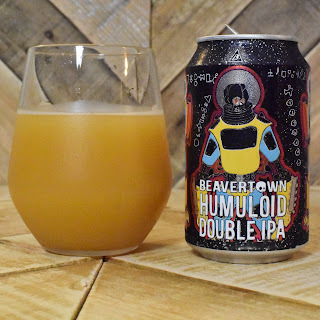 After all of that there's dryness and lip smacking bitterness on the finish that makes the whole package incredibly satisfying. 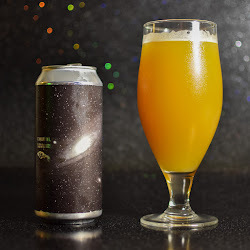 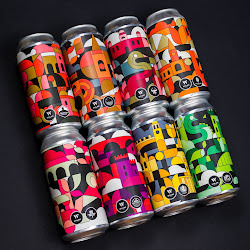 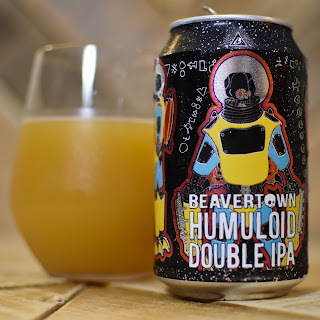 Humuloid is an absolutely outstanding DIPA (it's right up there with a Cloudwater) and I'm so pleased that I've got another can of it in the fridge.